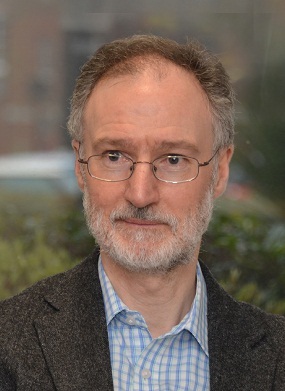 David Oliver has recently retired as a Consultant in Palliative Medicine at the Wisdom Hospice in Rochester and is an Honorary Professor at the University of Kent. He has written and lectured widely on the palliative care of people, with neurological disease, and in particular motor neurone disease. 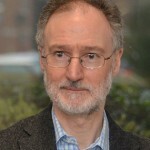 He was Chair of the NICE Guideline Development Group for the MND Guideline. Rachael Marsden is an MND Advanced Nurse Practitioner & Care Centre Coordinator in Oxford. She was part of the MND NICE guideline development group. In February 2016 the National Institute for Health and Care Excellence issued the Clinical Guideline 42 – Motor Neurone Disease: assessment and management. This Guideline aims to help in the care of people with MND, using an evidence based approach and applies across both community and hospital settings (1). We know from a survey by the Motor Neurone Disease Association (MNDA) that many people are waiting over 18 months to be diagnosed. The Red Flag system suggests to GPs that if a patient has painless, progressive, weakness they should be referred directly to neurology for an urgent appointment. Being diagnosed with MND can be totally devastating. It is important that the diagnosis is made by a Consultant Neurologist who is also an expert in MND and can provide up to date and accurate information on MND. The person should leave the consultation with contact details of the specialist team and enough information so that they do not feel abandoned and unsure of what to do next. Due to the changing nature of the disease a patient may have more than 10 people involved in their care at any one time. These professionals should have expertise in MND care, act in a coordinated way to prevent repetition and ensure that the patient’s needs are addressed and any interventions that become necessary are organised at the correct time, to prevent unnecessary crisis arising. Many professional are worried about broaching to subject of dying with their patients, but by doing so, the patient is able to be in control of their lives and make plans accordingly. Patients will be offered and issued specialist equipment in a timely manner and this will be able to match their changing requirements, enabling them to live their lives to their full potential and not be restrained by having to wait for the correct piece of equipment. The impact for the patient. If patients can stay well-nourished throughout their disease and do not lose appreciable weight there is evidence to suggest that they will stay stronger for longer. Patients & families tell us that one of their greatest frustrations is not being able to communicate effectively. With the correct aids, at the appropriate time, this frustration can be reduced. There has also been an Economic assessment of the Multidisciplinary Team Clinic approach and this was found to cost effective. These recommendations now need to be implemented. Over the coming months all involved in the care of people with MND will need to assess how they comply with the Guidelines and look at the changes that may be necessary. National Institute for Health and Clinical Excellence. Motor neurone disease. The use of non invasive ventilation in the management of motor neurone disease. NICE Clinical guideline 105 NICE 2010.